This practical utility trolley provides plenty of space for transporting goods within the workplace. 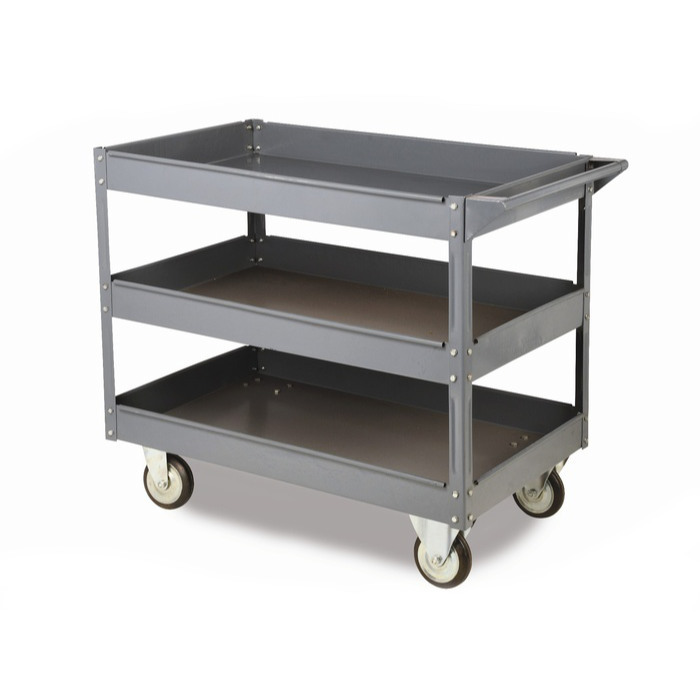 Choose either the 2 or 3 shelf model to suit your requirements, both feature an all-steel construction with a high load capacity of 250kg. 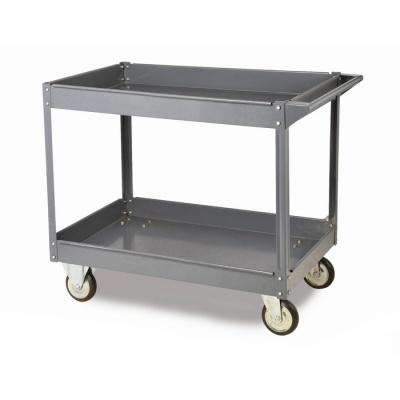 Unlike most other shelf trolleys this one has 85mm high shelf sides sides all-around which makes it perfect for moving loose product or small boxed items that have a tendency to slide during transit.